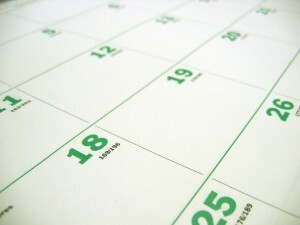 Save the Date for these upcoming events that you don’t want to miss! Sunflower U.P. Credit Union desired a “homey and inviting” design for their new business location, so CLH Architects’ Tim Werner, AIA, designed a building that would blend within the context of the surrounding community. The perceived mass of the building was reduced by adding high and low slopes to the roof. Tim also added a wrap-around porch that is of a size and scale of a family home, and the exterior windows are to a residential scale. The addition of dormers and the client’s sunflower icon echo the elements of farmhouse vernacular. Inside, the credit union’s patrons will likely be surprised by the spaciousness of the tall lobby with clerestory windows, but there will still be a homestyle aesthetic because the flooring and finishes will be in a warm color range with natural hues. The floor plan supports 3 teller stations with easy access to the drive-thru window, 6 offices, and a conference room. Additionally, the file storage room is comprised of CMU for the security of the files, but it is also spacious enough to be a shelter for staff and customers in the event of a severe storm or tornado. The building is sited to have good visibility as people approach the downtown area from the west. There is a drive-thru lane with the option of a teller or an ATM for Sunflower’s members, and a parking area in the rear. CLH Architects provided additional support to the client by assisting in a presentation to the Marysville City Council. The presentation was in support of a request by Sunflower UP FCU to have the city share costs for improvement of the alley on the lot that is utilized by customers as they access the drive-thru and surface parking. Improvements include new pavement, widening, and designating it as a two-way access road. 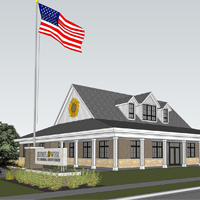 In keeping with their “down home” approach, Sunflower UP Federal Credit Union desired to invest in their local community by involving local businesses with this project. CES Group is a local civil engineering that did civil and survey work for the site. The building contractor is from the local area, and is an example of how CLH Architects works with credit unions to achieve their goals. Construction completion is estimated to be in the Autumn of 2018.
Credit unions, including Nebraska credit unions, received high marks in a recent consumer survey conducted by Forbes and marketing research firm Statista. There were more than 25,000 consumers surveyed nationwide on their opinions of their current and past banking relationships. Both banks and credit unions were rated on consumers overall satisfaction and recommendations as well as trust, terms and conditions, branch services, digital services and financial advice. The survey included state specific results for both credit unions and banks. The survey results found credit unions nationwide outpacing banks with a score of 80 versus 75.2 for banks. On a 1-5 scale, consumers gave credit unions a score of 4.42 and banks a score of 4.24. In the Best-In-State rankings, both Metro Credit Union (87.06) and the University of Nebraska Federal Credit Union (86.52) topped the top bank, Pinnacle bank (84.69) in scoring. Liberty First Credit Union which ranked third among credit unions nearly outranked the top bank with a score of 84.15. “Consumers are opening their eyes to credit unions in Nebraska and nationwide” said Scott Sullivan, President/CEO of the Nebraska Credit Union League. “The credit union structure being not-for-profit and owned by their members appeals to consumers across Nebraska and it shows in the results of the Forbes survey as well as in credit union membership growth in Nebraska which has increased by 9% over the last five years” said Sullivan.